GRAFENWOEHR, Germany — The Office of Personnel Management announced last year an Open Season for the Federal Employees’ Group Life Insurance Program, known as FEGLI. The Open Season will be held from Sept. 1 – 30, 2016. This is the first FEGLI Open Season since 2004. OPM determined that conducting an Open Season does not introduce undue risk to the solvency of the Program, and it is one method by which healthy individuals can be attracted to join the program. 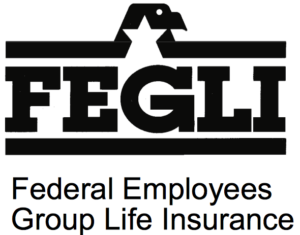 What is the Federal Employees’ Group Life Insurance (FEGLI) Program? During the month of September 2016, federal employees eligible for FEGLI can elect any coverage that FEGLI offers, including Option C coverage on the lives of eligible family members. Employees do not need to be currently enrolled in FEGLI to elect coverage during the Open Season. Open Season elections have no medical exam required and no health questions to answer. Elections made during the FEGLI Open Season have a one-year delayed effective date. Coverage elected in the September 2016 FEGLI Open Season will be effective on the first day of the first full pay period on or after Oct. 1, 2017, as long as an employee meets pay and duty status requirements. For more, view the OPM Benefits Administration Letter dated March 17, 2016. OPM is also preparing to launch a FEGLI Open Season website in the near future to provide more information on this event. If you have questions, contact CPAC, the Civilian Personnel Advisory Center, at www.bavaria.army.mil/employment.